Muslims are coming to faith through dreams and visions of Jesus in parts of the world where there are no or few Christians. Perhaps you have heard these reports of direct divine intervention. But what do you hear of the church's efforts to reach the world with the gospel? In light of Jesus' command that Christians pray the Lord of the harvest would send out workers into the ripe fields (Matt. 9:38) and His command for them to go "to the ends of the earth" (Acts 1:8c) with the Good News of the gospel, believers need to assess the church's efforts to respond in obedience. An honest assessment would compel us to admit the church is not doing a particularly good job at completing the Great Commission. Yes, the church is growing in some parts of the world, and we are thankful for every person who comes to know the hope of Jesus personally. But, according to Gordon-Conwell's Theological Seminary's Center for the Study of Global Christianity (CSGC), nearly 2.9 billion people have little or no access to the gospel—and that number increases by 58,000 every day. It also has been estimated that almost nine out of 10 Muslims, Hindus and Buddhists will die without ever meeting a follower of Jesus, according to the CSGC. This huge part of the globe remains untouched by our efforts because it is in the hard parts of the world—geographically, politically, culturally, religiously, linguistically. Meanwhile, most of the church's missionary activity and resources are focused in countries where some kind of Christian presence has already been established. Of the 400,000 or so cross-cultural missionaries serving today, only around 13,000 work in challenging nations. Americans spend more money on Halloween costumes for their pets than they give to missions efforts among those with little to no access to the gospel. Making matters worse, the current focus on serving in challenging nations is now threatened in a number of ways. Many agencies are noting a downturn in recruitment for these tough places, while more countries hostile to the gospel are restricting and even banning traditional missionary activity. The days of missions as we have known them are drawing to a close. If we are to complete the task Jesus left us, something has to change. We're not alone in this belief. There's a widening sense of unease within the broader missions community that, despite all our notable efforts, we haven't advanced as much as we should have by now. However, along with a growing number of peers in other organizations committed to seeing the name of Jesus shared around the world, we at Operation Mobilization also believe God is showing us what and how we need to reset. The answer is not a new program nor a new paradigm. It is a rediscovery of a more holistic, more biblical understanding of our true purpose as believers. It is centered in our identity as the children of God, and it finds daily expression in all we do, including our work. The irony is that countries that are closing their doors to "professional Christians," which we might call traditional missionaries, are also flinging them wide open to Christian professionals. They may have no time for evangelists and church planters, but they are desperate for skilled doctors and nurses, engineers and educators. The fact is, Jesus-followers who are accomplished in their fields would be welcomed in almost any country. And as they shine through their work, demonstrating excellence and integrity, they have the opportunity to share their Christian walk with their colleagues. Some have been quietly pursuing this model for years—people like Mary, a nurse from Africa, who got a job at one of the biggest hospitals in a large Arab nation. Within a week of arriving, she had so impressed her employers with her abilities and approach to other staff that she was asked to train all the nurses. After a couple of years, she was then asked to train the physicians. Receiving instruction from a dark-skinned African was a cultural shock for many. But after helping her CEO and hospital become the first in that region to win a coveted award for excellence, Mary was promoted to oversee training for all 5,000 staff members. Because of her value to the leadership, she received permission to lead Bible studies for women; in fact, the religious police would even print her Bible materials because of her special status. During her tenure, Mary impacted an entire industry and led a number of women to faith through her presence and witness. Nor are the opportunities limited to those with big-career qualifications; expertise of any kind is welcome. Elizabeth, a Moroccan hairdresser, took her skills to the northern region of a highly restricted Arab nation where, after months of building relationships with the women she was serving, one woman opened up to her about her personal pain of not being able to have children. Elizabeth prayed for the woman, who soon became pregnant. She brought other friends, for whom Elizabeth also prayed, and some of them also conceived. She now regularly meets with 70 new believers and seekers. These kinds of opportunities are multiplying at an interesting time in the church, when more believers are looking for different ways to be part of what God is doing in the world. They love Jesus but reject some of the traditional church culture and way of doing things. They want to make a difference but are leery of big organizations, preferring an approach that feels more authentic and organic. And they want to integrate what they believe God has wired into them—their natural gifts and abilities and interests—with their faith. All of this makes them natural candidates for a new Great Commission movement that we describe as "every vocation, in every location, for His glory." Together with a growing alliance of like-minded partners—Live Dead, Crossworld, CRU, Pioneers, SIM and Team—we at Operation Mobilization (OM) have harnessed technology to catch this wave. 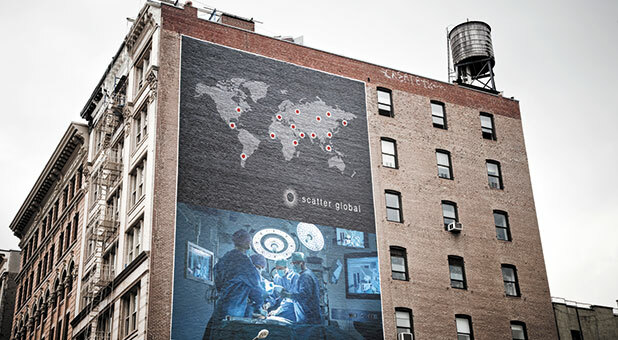 Launched in 2016, Scatter Global (scatterglobal.com) is an online resource center, community and clearinghouse that helps Christians better understand how their vocational gifting can further God's kingdom, prepares them for service opportunities in nations not penetrated by the gospel, links them to employment opportunities there and supports them as they go. The enthusiastic response we have seen from individuals wanting to sign up has been encouraging. 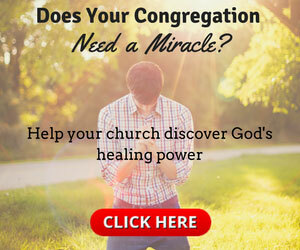 Other missions organizations and some denominations are also keen to embrace the Scatter Global model, and they can have their own subdomain within the larger community. Scatter received the eXcelerate Award for excellence, innovation and partnership at the 2019 Missio Nexus conference. We take receiving the honor that has previously gone to such initiatives as the Jesus Film Project and The Seed Company as a major affirmation. Though it is early in the process, there is a sense of God's hand on the Scatter Global endeavor—through its widening embrace and the cooperative and collaborative spirit of all those who want to be part of it, including the grassroots church-planting organization Live Dead—we have not experienced in all our years in missions. We believe Scatter is poised to play a significant role in helping multiply and mobilize a mass movement that will take the Good News of Jesus to the unreached corners of the world, as believers committed to excellence in their work let their light shine before others, "that they may see your good works and give glory to your Father who is in heaven" (Matt. 5:16b). Andrew Scott is president/CEO of Operation Mobilization in the U.S. and is part of OM's Global Leadership Team. He is the author of Scatter: Go Therefore and Take Your Job With You (Moody Publishers). Jonathan Thiessen is OM-USA senior vice president and leader of the Scatter Global initiative.